At DermMedica, we take pride in providing our customers throughout the Okanagan with the best skin care treatments in the region. So for you to take good care of your skin, it’s important to understand the composition of your skin. Did you know that your skin is the biggest organ in your body? Many people might not realize that skin is an organ, but it is. And it’s a really important one: it protects everything inside your body, provides us with a sense of touch, and it maintains our body’s core temperature. We have three layers of skin. 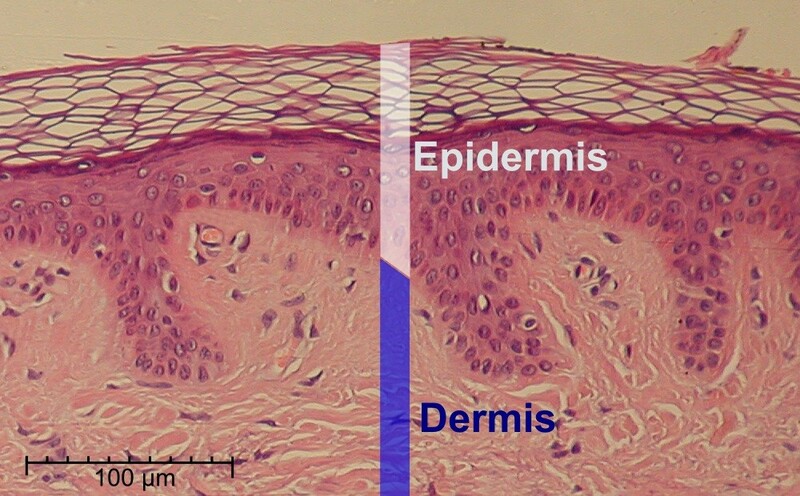 The epidermis is the layer on top or the outside, the dermis is the middle layer and the subcutaneous layer. A fun fact about your skin is that the skin you touch and feel every day is actually dead skin cells. But fret not, underneath these dead skin cells your epidermis is hard at work making new cells. 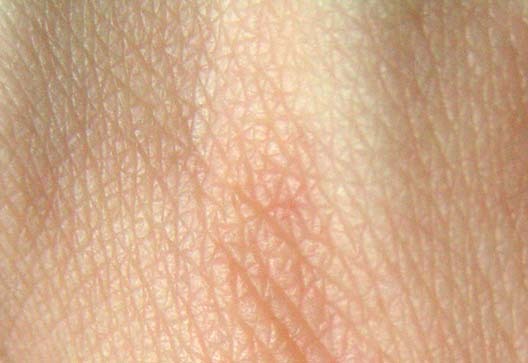 At the bottom of the epidermis, new skin cells are constantly being produced. Once they are old enough, they slowly move up and replace the older cells. These older cells die and slowly move up to the surface of the skin. You might wonder why the body keeps these dead skin cells — actually, they serve a very important purpose. Once the cells die, they harden and become protect us by being strong and tough and covering our body. Because the cycle of new, old and dead cells lasts only a couple of weeks to a month at most, your dead skin cells are constantly being replaced by new dead skin cells (that sounds weird, but is true). In fact, it is estimated we lose an average of 40,000 dead skin cells each minute, which is the equivalent of 9 lbs (4 kg) every year. However, not all of your skin cells are part of this cycle. Part of your skin cells are responsible for producing melanin — the substance that gives us our skin colour. Basically, the more melanin we produce, the darker our skin colour. Melanin is also responsible for protecting us from UV rays by producing more melanin (which, you guessed it, gives us a sun tan). But melanin isn’t enough to protect us from the harmfulness of UV rays, which is why sunscreen is important. For more info about that, you should read our blog about protecting your skin from the sun here. The middle layer of skin is called the dermis and it contains elastin, collagen, sweat and oil glands, as well as blood vessels and nerve endings. The elastin and collagen are there to keep your skin strong and tough and stretchy; the sweat and oil glands are there to protect your skin and to manage your body’s temperature; blood vessels bring oxygen and nutrients to your skin and remove all the waste; and the nerve endings tells your nervous system (and brain) what it is you are touching and feeling. Even though this layer is in the middle and you cannot see it, it is constantly hard at work doing many things for your skin at once. This last layer, also referred to as subcutaneous fat, is what connects your dermis and epidermis to the tissues inside your body. It also keeps your body warm and is kind of like a protective layer in case you fall or hurt yourself (to a certain extent). The subcutaneous layer is also where your hair follicles begin — this is the root of each strand of hair on your body. (Most) everyone has hair all over their body, except for the bottom of their feet, the palms of your hands and your lips. Out of these roots grows a strand of hair through the dermis and out of the epidermis.